Hoppity Hop! Here Come the Bunnies! 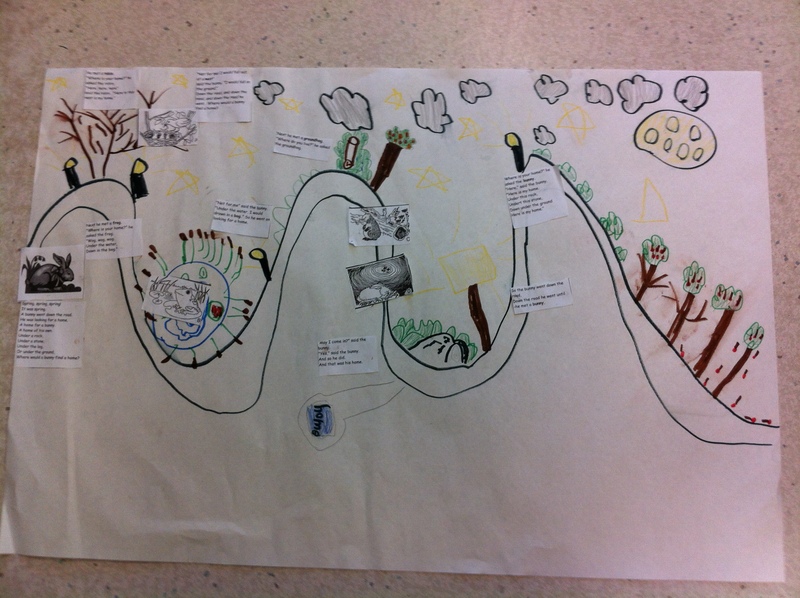 | Mrs. Anton's Class! ← Making Books! iPad Style! Hoppity Hop! Here Come the Bunnies! 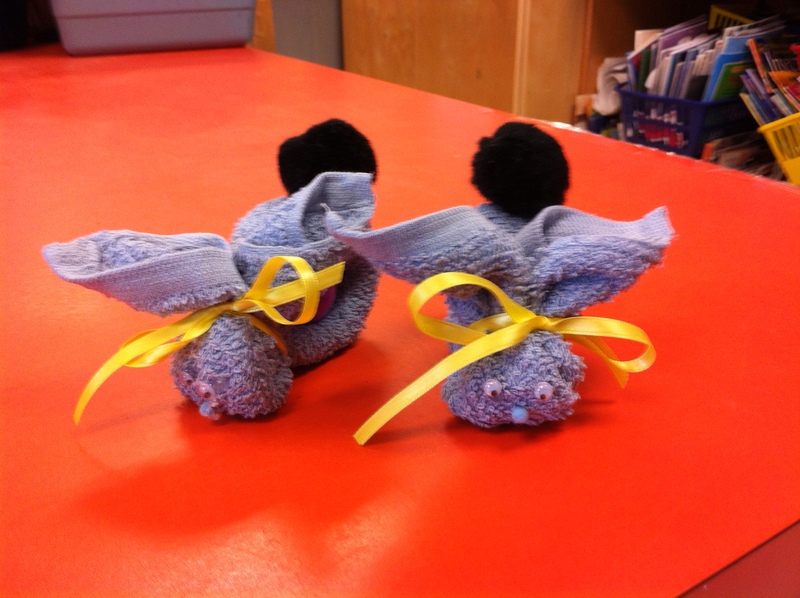 We made these Boo-Boo Bunnies today! They were a big hit! 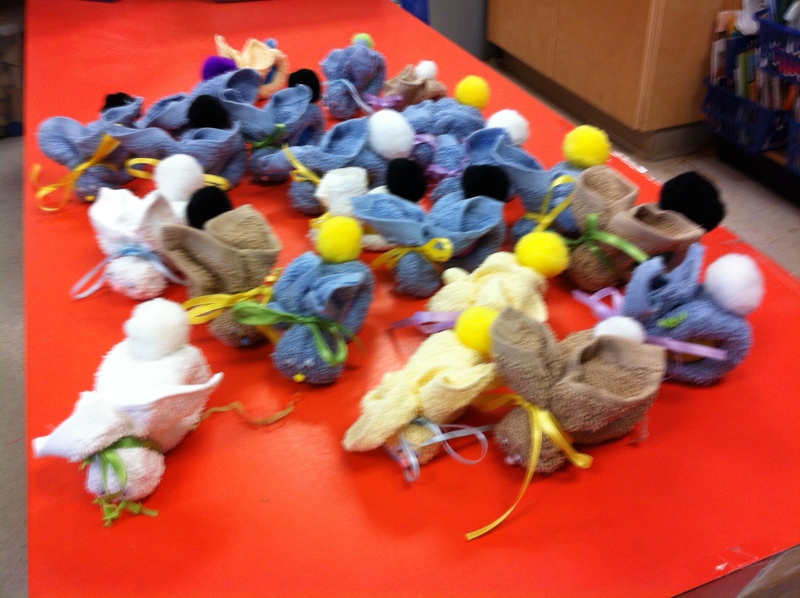 The bunnies were intended to be the “puppet” to act our the story map we were creating today. However the children seemed to like them so much that the bunnies basically seemed to turn up at everything we did today! 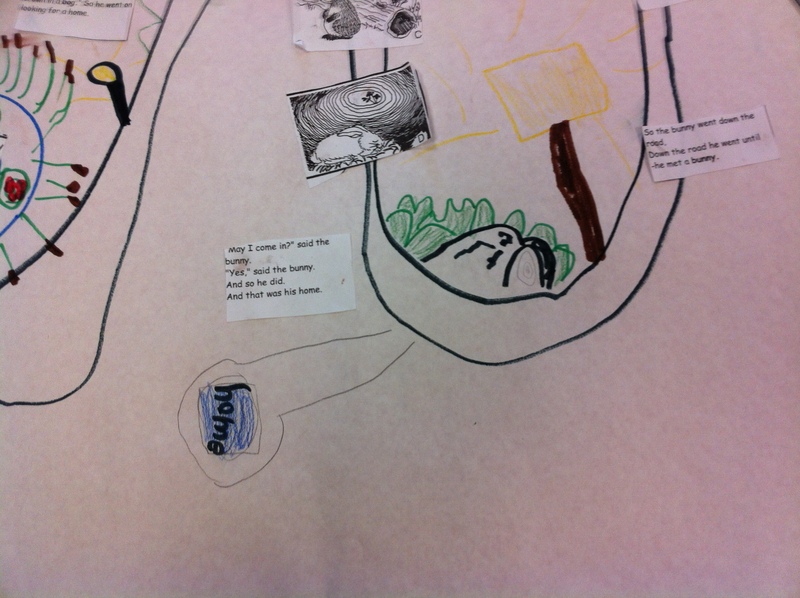 We made a story map about the Margaret Wise Brown story called Home for a Bunny. This story is in one of the anthologies that we are currently reading so the children looked at both versions and compared them. 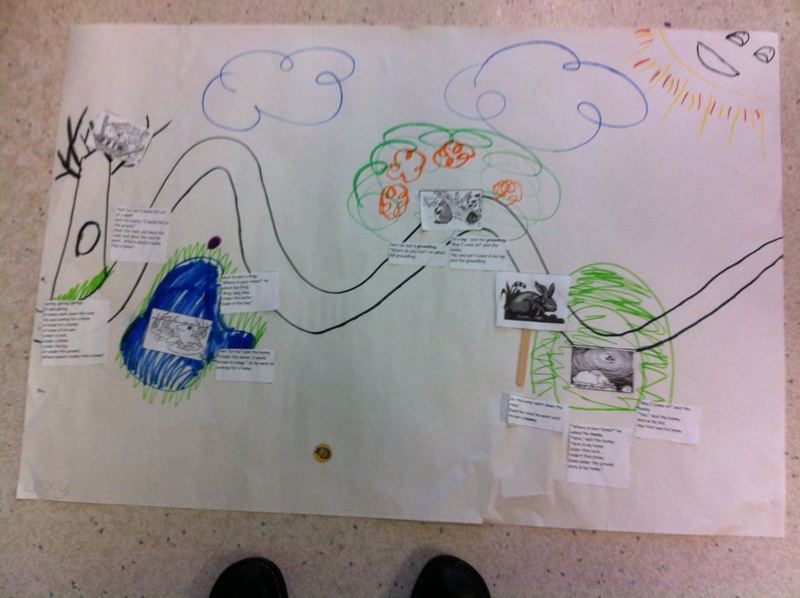 Then they put together the story map and sequenced the story. 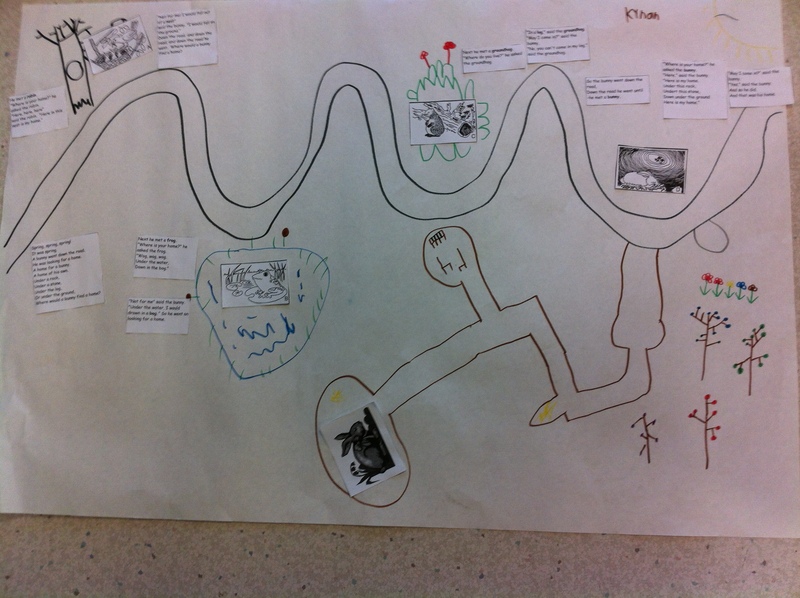 Take a look at some of the story maps. Love all that detail! The sign says “Home”! This one has the bunny on the road trying to find a home! This one even has the underground burrow for the home. If you look closely there is a room with a table and two chairs! 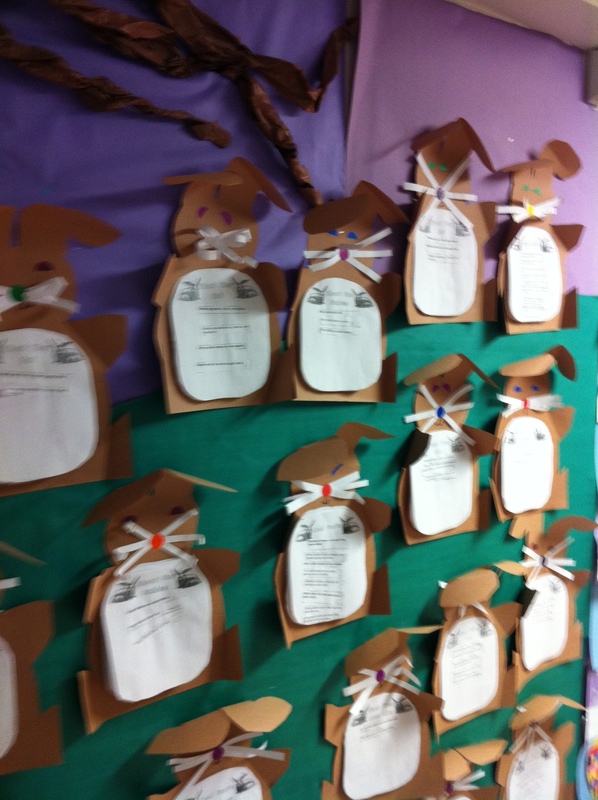 We made rabbit reports last week! 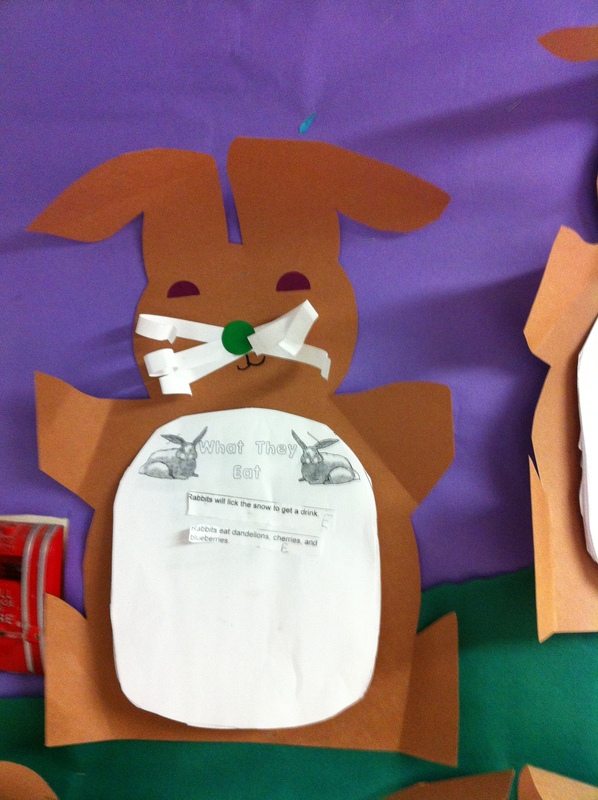 The children had to sort the rabbit facts into four different categories! 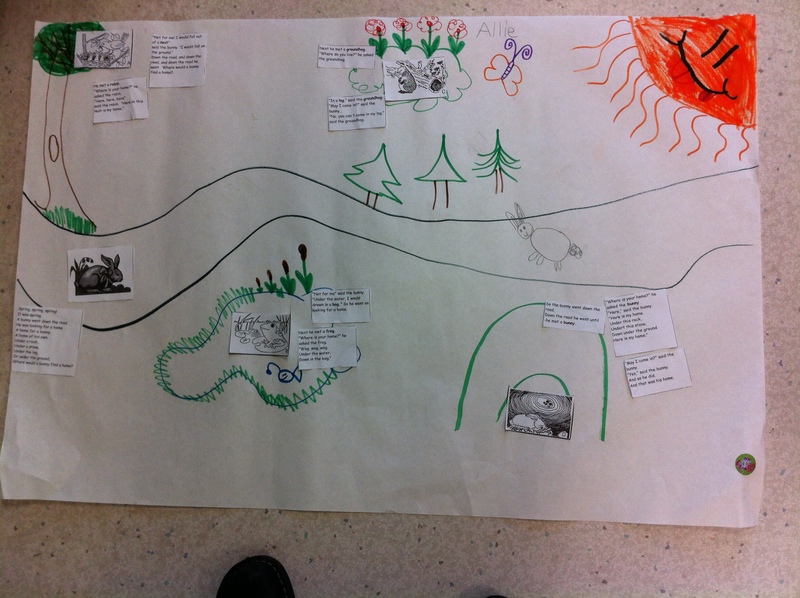 We made the project into a rabbit report! 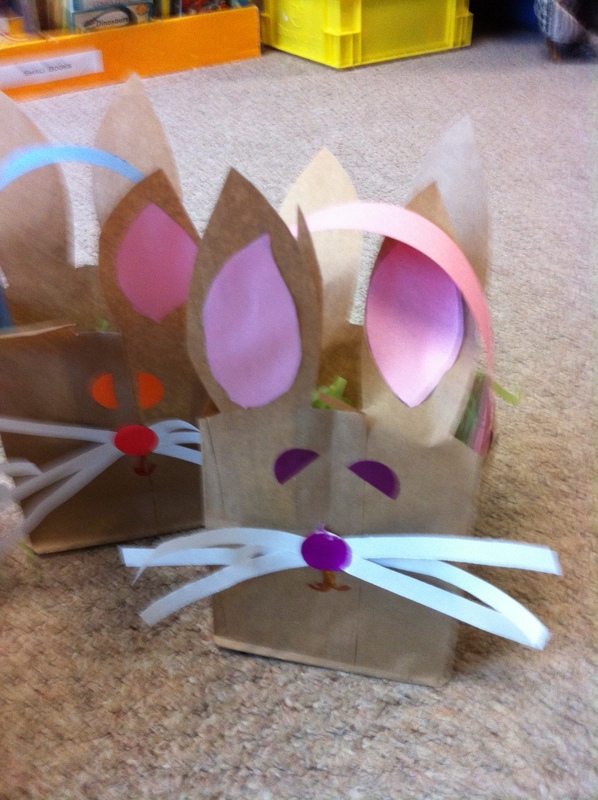 We made rabbit poems yesterday. 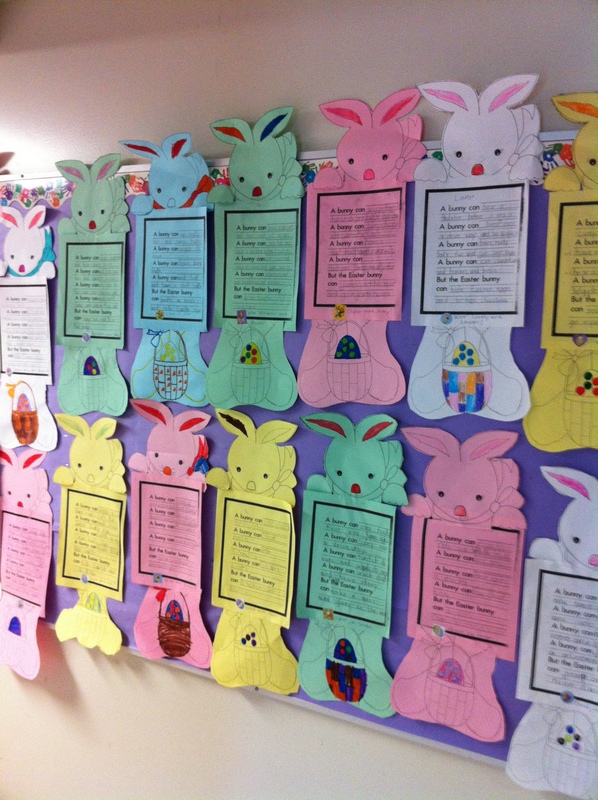 We brainstormed what real rabbits could do and what the Easter bunny could do and then the children compiled their favourite ideas into the bunny poem! Take a look! Now we are waiting for the Easter Bunny to come! We have our baskets ready!